Hello! 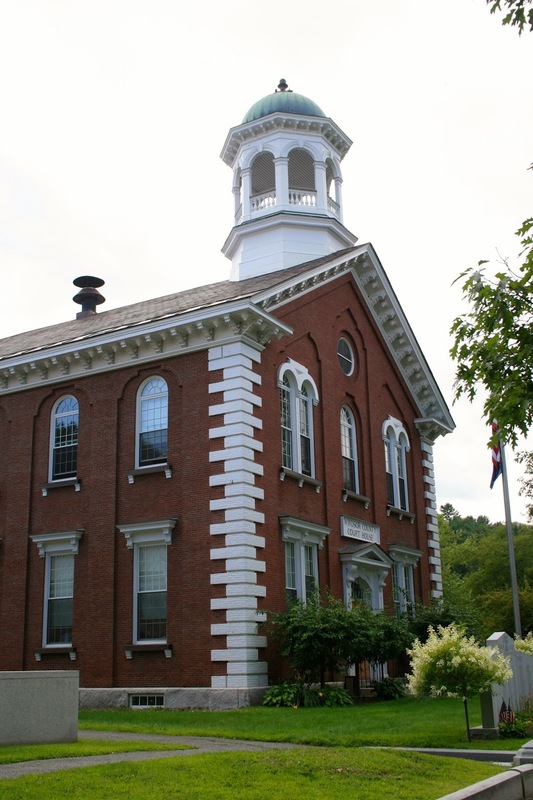 Our last stop on our last day of our New Hampshire vacation was the affluent community of Woodstock, Vermont. 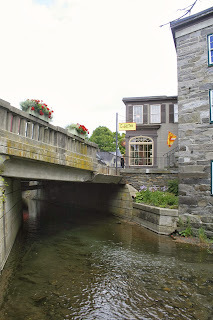 In the morning of our last day we visited Quechee Gorge, Quechee Village, and Sugar Bush Farms where the kind owner gave us directions to this quaint little town. 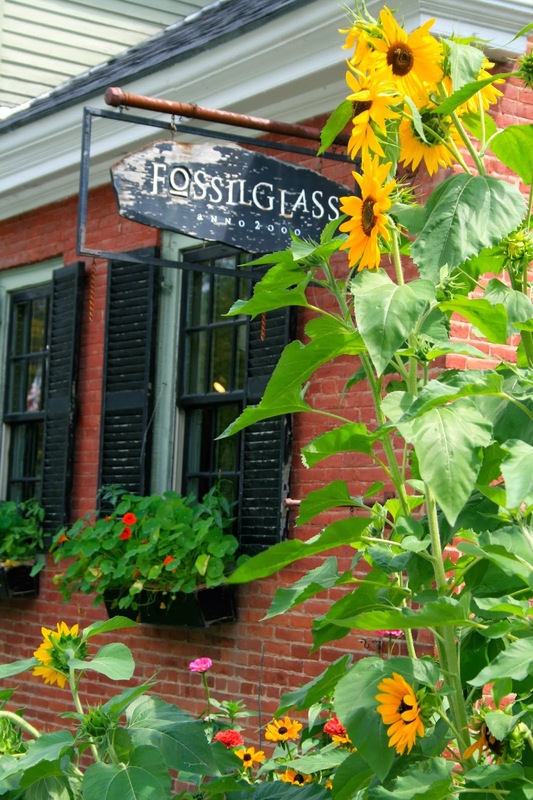 If you could close your eyes and imagine the most perfect, idyllic, flawless town on the planet….Woodstock, Vermont would be it. I've seen a lot of small towns in America, and I've never seen anything like this. One travel site I visited described this town as 'ridiculously pretty', and another said 'it was the prettiest town in America'. I would have to agree. It was more like a movie set, than a real town! It was too perfect to be real! All the homes and businesses were immaculately kept up and retained all their historical details. 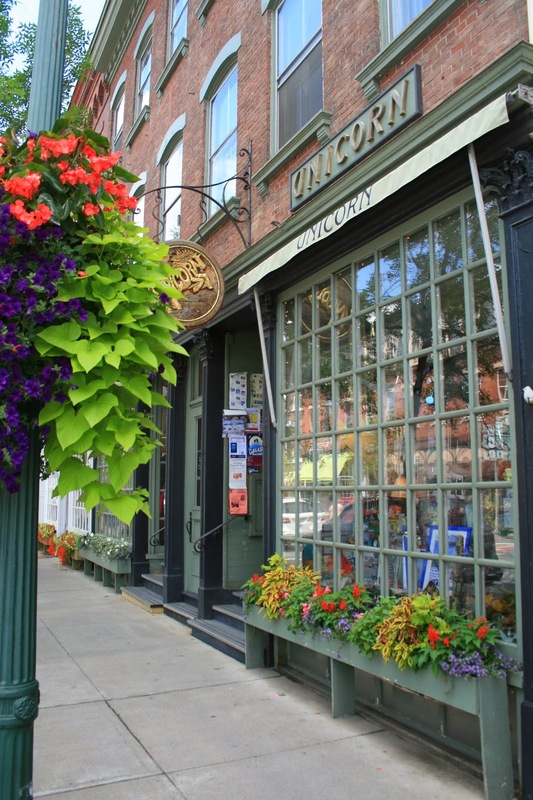 The streets are lined with tall trees, and flower beds and hanging baskets are everywhere. It is like a storybook village, except there is no evil queen…not that I could see anyway. and if your awestruck by the exterior….you should see the inside: one of the most beautiful and interesting ceilings I've ever seen! Could it really get any more Colonial than this? After potty breaks at the library (of which bathrooms are only free to patrons, visitors are asked to make a 'donation'. I gave them $1.00 because the three of us all 'had to go', and when I was in Europe, peeing wasn't free there either…it cost 30 cents a pee, so that's what I reasoned was appropriate) we then proceeded to visit the downtown stores. Now, the only bad thing I have to say about this beautiful town is that I felt that although the town thrived on tourism and wanted tourist's dollars, they didn't like tourists. It seemed every store window said 'No Public Restrooms' or 'No Photography inside', or 'No food or drink'. Being in retail myself, of course I understood the reasons for all these 'don'ts', but it made me feel unwelcome or like I didn't belong here. Eventually we found a small public restroom, but I thought "really, tourists flock here from all over the country, and you only have one public restroom in the whole town?" Sorry Woodstock, if you want the tourists, you have to let them pee! This corner building had such interesting architecture. I love how it is shaped liked the street and has a curved front entrance. I think this was a fine dining establishment. 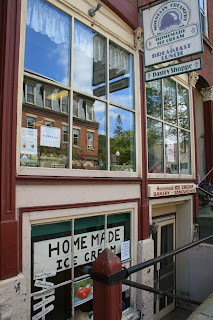 This building had a restaurant/pastry shoppe above, and below was a homemade ice cream shop. This is where all the tourists get the delicious ice cream that they are not allowed to eat in other buildings. LOL! But, oh, one can forget all the negative signs when eating this ice cream! It was THE BEST ice cream I've ever tasted in my entire life. Unbelievable! Don't even think of going to Woodstock without tasting this ice cream! The only drawback to this place, is that there is no sitting area inside or out for people to eat their ice cream. You have to take it outside and eat it standing up on the side walk. The next few pictures were one of our favorite spots in town. 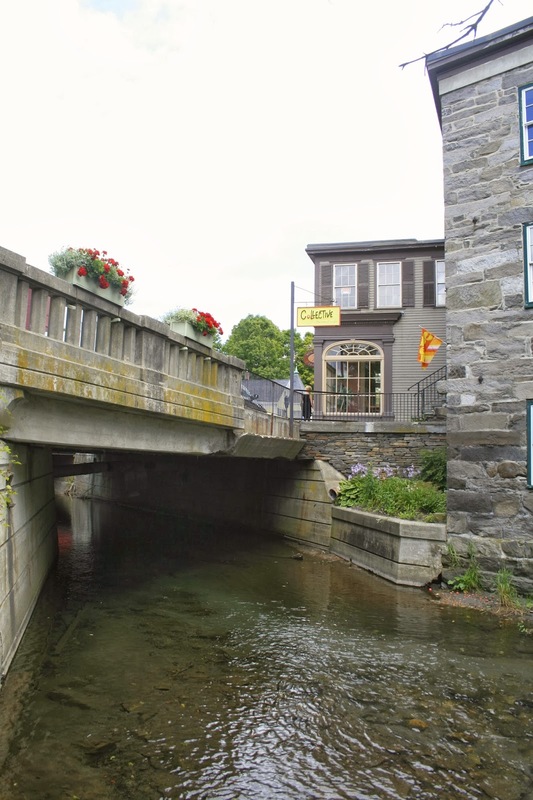 Underneath the street bridge is a beautiful river with a little tiny park where, yes, you are allowed to eat your ice cream! They even have a picnic bench along the river to sit and enjoy the view. I only wish we would have known the park was there, before trying to consume our ice cream in front of the store. I believe that the gorgeous brick building above the river was a showroom for local artisan's work. I just loved how the pop of color from the red geraniums stood out against the grey bricks. Every single home in this town is so gorgeous whether it's a huge estate like this one, or a tiny little cottage. This is a cute little house that was turned into a store. And this big, beautiful Victorian home is now a sporting goods store. I just loved this beautiful huge sunflower growing outside this business. Here is a picture of the ice cream shop/restaurant taken from across the street. They put out two garbage cans for people to put their litter in from the ice cream---I'm assuming because other business's must have had to deal with disposing of the ice cream litter and that's why they don't want it eaten in their shop! 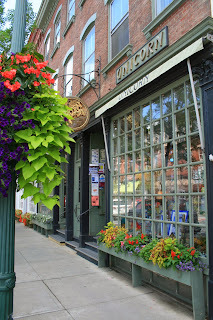 This is the Woodstock Pharmacy. I love the windows! Our visit to Woodstock was a pure visual delight. Although we didn't buy anything other than a few scoops of ice cream and the right to pee, we loved stepping back in time and seeing all these gorgeous historic buildings and homes. What a feast for the eyes, and something not be missed if your ever traveling in the beautiful state of Vermont. Looks like a beautiful little town, and you made me wish for some ice cream! Never came across a restroom in the US yet that asked for money, but I do very well remember them from when I used to live in Germany. Oh my goodness, I had no clue it was so quaint and gorgeous! Must put this on my travel wishlist!